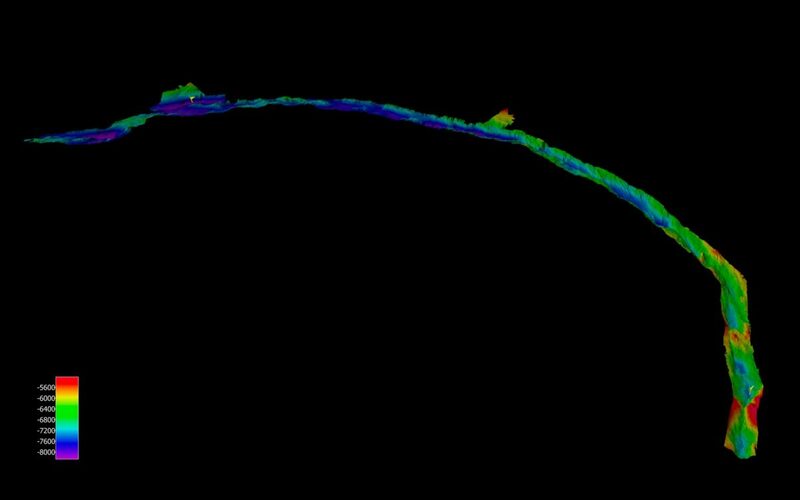 For the first time, the entirety of the South Sandwich Trench has been mapped using high-resolution sonar. 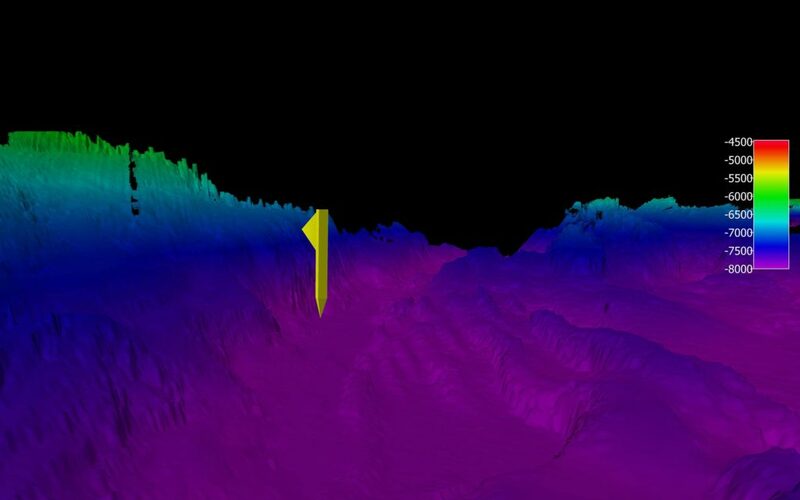 The Five Deeps Expedition team onboard DSSV Pressure Drop used the sonar data to identify and verify the deepest point in the Southern Ocean (south of 60º) as well as the new deepest point in the Atlantic portion of the trench. 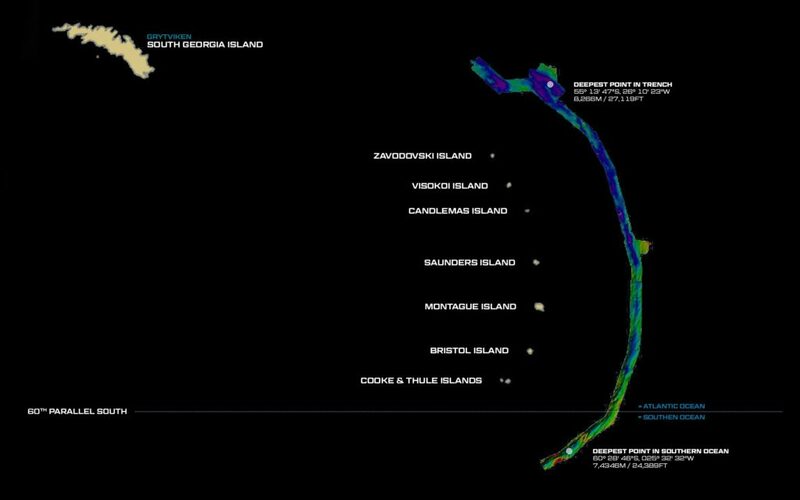 An overview graphic showing sonar data of the South Sandwich Trench overlaid onto mapping data for context. 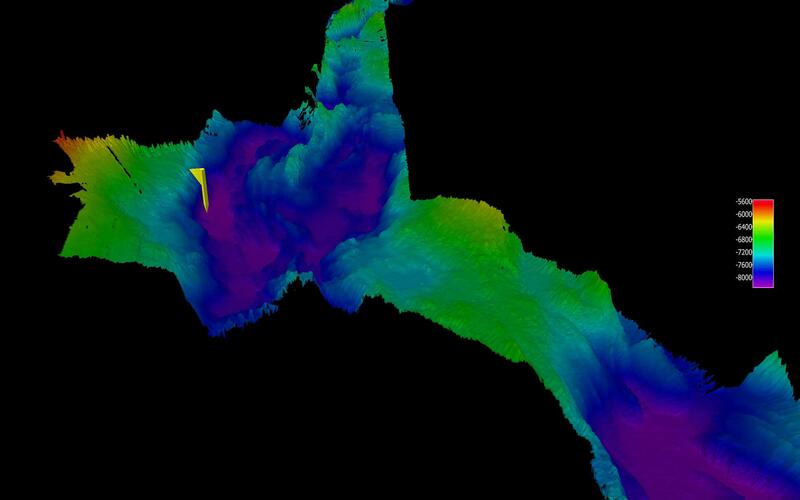 A full sonar scan of the South Sandwich Trench without overlaid data. 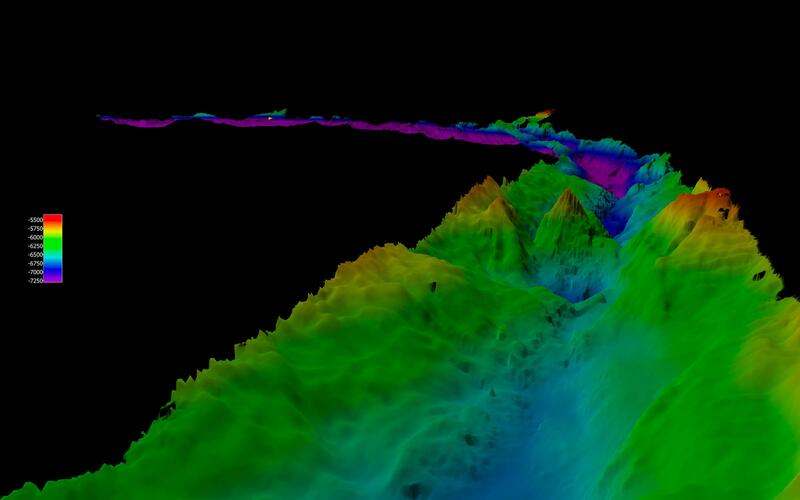 The Deep Dive Site, the verified deepest point in the Southern Ocean, measured to be 7,433.6 meters/24,388 feet. 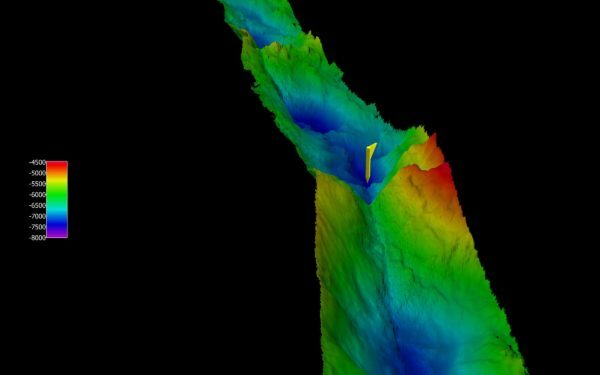 The newly discovered deepest point of the South Sandwich Trench, in the Atlantic Ocean, adjacent to the previously known deepest point, Meteor Deep. Close-up detail of the newly-discovered deepest point in the South Sandwich Trench in the Atlantic Ocean.